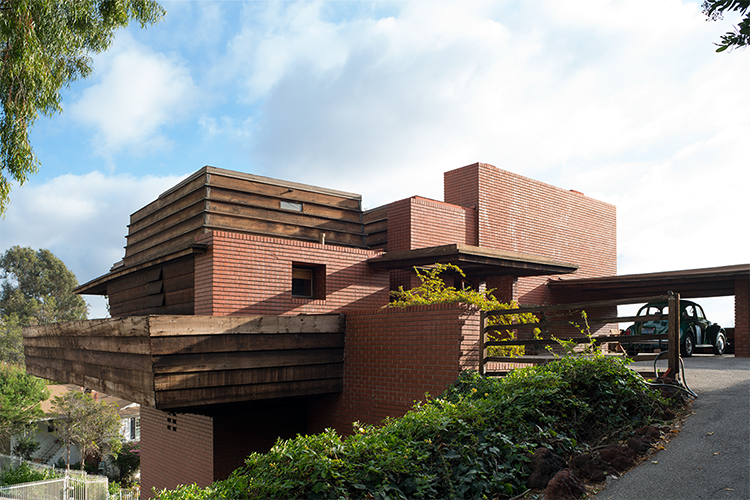 The sale of the Frank Lloyd Wright's George Sturges House is not something seen regularly at auction. Los Angeles Modern Auctions will sell the house along with over 70 lots from the estate of actor and writer Jack Larson on 21st February. Larson, who passed away in September of last year, is best known for his role as Jimmy Olsen in the 1950's television series Adventures of Superman. This is the first time LAMA has ever sold an architectural property. The auction house has teamed up with Sotheby's International Realty in order to sell the house which has a $2.5-3 million estimate. The house was built by Frank Lloyd Wrigt in 1939, after he had come to Los Angeles and focused his career on textile block houses. It is located in West L.A's Brentwood area, which is well known space for architectural properties. There are many other houses in the area which have been built by major architects, with the Sturges House being the first. Jack and his partner, James Bridges, lived in the house for nearly 50 years, proving the liveability of the building. The sale is a good fit for the auction house which is known for specialising in art and design and the sale of important interiors. The sale promises to be an exciting one, with proceeds from the sale of the house going to benefit The Bridges/Larson Foundation. Check out the house on Barnebys here.